"Great free tool that I recommend to my students"
Easy to clip citations from the web and add them to your project in Microsoft Word. Huge time saver for students and writers. Because it is an open-source resource, sometimes updates don't come at the most convenient times, and support is not what you would get with a paid service. Also, I really wish they worked more directly with Scrivener. There's just nothing quite like it. 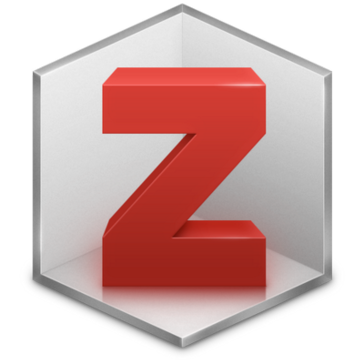 I really liked EndNote, but you can't beat Zotero's price (FREE) for such a great product. It's not perfect, but it's the only reference manager I recommend. If you use Zotero and have issues, there are great forums to answer questions you may have. Use the ones on the Zotero website, but Google can also find you great blogs for students with tutorials that will help learn the system. It's pretty user-friendly and intuitive to use, and would be worth paying money for, but it's free. Don't spend money on a paid tool as long as this one is available! As a professor, Zotero is the go-to reference manager I use for my own writing and for my students. It saves an incredible amount of time in writing and research. No more time wasted formatting citations or keeping track of them. "Best for: collaborating, multi OS, user friendly, opensource"
What Reference Management solution do you use? After installing the Zotero Connector icon to the right of your web browser’s address bar, you can click on the icon to save web pages, lists of articles (or specific citations from a list of articles), PDFs, and individual citations directly to a Zotero collection. If a PDF of an article is available, it will be included when the article is saved to a Zotero collection. If metadata is missing from a citation after adding it to a Zotero collection, you have to search for the same citation elsewhere in order to copy the metadata into the citation in the Zotero collection. Learn to use Zotero by reading instructional materials. I found a PDF titled Zotero Workshop, which I saved for future use. I conduct literature reviews, including database searches, for researchers in STEM. For one recent literature review, I saved citations from multiple sources into EndNote, then I was able to sync the entire EndNote bibliography to Zotero in a new collection, and I sent the Zotero collection to the researcher as an email attachment. The researcher was then able to open the attachment in Zotero to create a new collection of citations. "Zotero for better managemt of bibliography"
Availability of space to record notes and important points about a article to get them in short time without going through the whole paper is the main feature of zotero that we love the best. There are also other features of zotero like tagging and sorting an article with various importance and quality that are best of zotero. Zotero is an excellent tool for managing your citation source, sharing them with your collaborators and finally composing and editing bibliography. I highly recommend zotero to your organization. This product will be a great tool in saving time for both instructors and students. Bibliography management is a biggest and most time consuming job in any academic and science society. This problem of managing, sorting and sharing of the important file is solved with zotero, It also stores the bibliographic citation data which can be used while editing a report or books and in the end total bibliography can be obtained in a single click. "A great tool for managing sources"
My favorite things about Zotero include that it is free and open source software, it is pretty easy to use, it automatically saves PDFs and other files, it can easily import metadata, and it saves a screenshot of the website I save. One of my least favorite things about Zotero is that the interface is a little bland, and you must have it downloaded and installed on a device you are using it on. Full functionality is not available in the web version. Go for it! It may take a little time to learn how to use it, but once you are in the habit of using it it is going to save you so much time. Zotero allows me to easily save and organize journal articles, web pages, and other sources of information and easily access them again later. "Easiest way to compile citations"
I love how Zotero connects to my web browser allowing me to instantly record an article’s citation with the click of one button. Once it’s recorded in my Zotero library, it even saves a pdf link to re-access the article and is easy to organize citations, share, and add notes. There’s not much that I don’t like about Zotero. One small nuisance is that the software doesn’t run in the background on my computer, so I have to make sure it’s open on my computer before I begin work each day. With Zotero, I can create bibliographies for research grants and new publications. "A thoughtfully developed free reference manager that packs a punch"
Back in college I used Zotero for everything. Its seamless Firefox integration and later integration with Word were exactly what I needed, and unlike EndNote, I could install it on all my own devices with no trouble and no fees. I now use it very occasionally to curate my personal reference library, and it's still got the magic, although I no longer use the advanced features. While many, many custom styles were available, it was a HUGE pain to start from one of these and modify it slightly. This may have changed, since I rarely need to cite in a specific, obscure style these days -- it's worth a look. Also, everyone else uses EndNote. I am a freelance researcher as well as an editor and Zotero manages my references excellently. I only use it when I'll be the only one handling the reference section since it's so nonstandard, but it's lightweight and flexible and does a terrific job. "Zotero is my favorite paper manager"
Zotero organizes all my research papers. I love that it automatically syncs my papers to my account so I have all my research with me wherever I am. I also really like the citations features, which lets me import citations into word.It's also nice that I can search through all entries as well as keep papers in multiple folders. These two options help me organize everything. I like that you can update entry names based upon pdf metadata. This makes it way easier to get all the information for a paper because the whole process is automated. If I had to pick just one feature as my favorite, it would be that I can click the zotero button on my browser to automatically add a paper to my library. Would like an easier way to use tags, like maybe a color coding or something. I also think it would be nice to create an arbitrary sorting method for creating a bibliography, so that references were ordered the way I list them in the paper I am writing. Like maybe I could put a 1,2,3,etc. next to each paper in another column. If you need to keep track of papers and use multiple devices or are collaborating on a project, Zotero is a great way to go. Also manages citations for when you are writing a paper yourself. Collaboration with Zotero is especially useful. I can fill a folder with papers on a research project. My colleagues can highlight and comment. It's a great way to share. Zotero provides access to all collected papers, articles and books from anywhere and you do not need to be working on your desktop/laptop. Zotero also helps me to organize my articles in different folders for my different assignments. Sometimes, the referencing does not come up in an uniform way even if I select the same style, mainly if there are multiple authors. Like I use APA style for my papers and sometimes when there are multiple authors, it will take "et all" and sometimes it will have all their surnames which are confusing. Everybody who has to use references in their writing should start using Zotero as it would make your life much easier. As a PhD Student, I have a write a lot of papers for work and Zotero has helped me in streamlining my referencing. It also helps me to store all the articles I need at one place. The best part is it provided me access to these papers from anywhere. The best part of Zotero - it is completely FREE. It is an open-source research tool that I can rely on. I can use Zotero to help keep track of sources used for any kind of research: annual reports, literature review, ect. I have not had a ton of issues with Zotero so I have nothing to report for the "What do you dislike?" section. I am glad it's free unlike many other types of software that are out there. Use this free software before paying to use anything else. God luck researching your work projects! I use Zotero for what it does best, a research tool that catalogues any sources I used as references for any particular project I have worked on. "Using Zotero for Managing References"
Zotero has some of the standard features of reference management software that are very positive. You can integrate with Microsoft Word so you can automatically insert in-text citations and generate a bibliographic list at the end based on your pre-specified format settings. The software allows you to manually enter references. There is also an official Zotero plug-in for Chrome that allows you to easily import references you locate on the web. Teamwork is easy with Zotero as you can create shared libraries everyone saves to and you can also export libraries for other users. One thing that is lacking is the ability to search a library of reference entries like you can do with Mendeley's website. Having access to the entries other users have generated for a reference in the past has saved me a lot of time and effort in the past. You can create your own custom formatting templates but the process is not as intuitive as would be ideal. I would consider whether or not you need software to use in a team setting. If so, then if everyone is on board, Zotero could be a great option. We especially use this software because of its ability to be used across a whole team of researchers. We have a shared library that everyone can access and add to. This is ideal as everyone is working on their own pieces of the project often remotely and independently. "Excellent way to organize articles"
I love the ability to have multiple folders available for different projects I am working on. This allows me to stay organized and quickly track down literature I am looking for. I also love zotero connector and how I can send articles to my library just by pushing a simple button. Zotero allows me to stay organized, collect literature, and share readings and folders with my team easily. Sharing an entire library is much easier than emailing individual files. "This Software is a Huge Time Saver"
I was originally very leery of this software because the librarians at my university used to push so hard for students to use it. Normally, the content they suggested would crash my faulty laptop and then not even work once it was installed. This software, on the other hand, is amazing and makes citing sources a breeze. Especially when you've been toggling between too many internet tabs and you can't keep them straight anymore. It took me a little longer than I expected to learn how to use it. Don't assume that just because it is free, it will be of lower quality. It's actually everything you need. In drafting emails/projects where I have had multiple internet sources open and could easily mis-cite something, Zotero keeps me organized. "Will require some effort to get an ideal workflow"
Best feature is the browser integration. You can directly save articles into Zotero and subsequently make notes in Zotero. Equally good is automatically pulling the metadata and generating Bibtex effortlessly. Annotation: You still need to open in a separate PDF reader to annotate. If you automatically open in PDF reader, then you can't use the browser extension and you will have to sync Zotero with your hard drive or network drive, which takes up space and/or is less portable and/or will fail if you're not logged into something. Syncing: Good luck if you want to sync with a Sony Digital Paper. Even though both systems use webDAV and it seems as though you ought to be able to sync automatically and push articles to a DP, I have never gotten this to work. If you try syncing Zotero to Box and then to DP, it is a bit unreliable and in addition Zotero doesn't do two way syncing it seems. Filing: If you were looking at one folder, and you use the browser extension to save an article, it automatically gets saved to that folder regardless of its relevance. This has led to frequent misfilings and losing papers. Firefox: There are many useful extensions for Zotero. They are not compatible with the new Firefox versions. It's much easier to keep track of references and take (non PDF annotation) notes. "Useful reference management tool "
I like that it is free (but you can pay for additional storage if you want). Being able to save content directly from the web as I'm browsing is really nice. Being able to sync my library across multiple computers has been a benefit, as I work from home two days a week. I also like that you can capture screenshots of web pages you want to archive this has come in handy numerous times. The ability to share my files with coworkers has also been useful to me. I've had issues with it shutting down and not saving some of the most recent information added. It doesn't have nearly as many citation styles as Endnote. I normally use Google Chrome but downloaded Firefox in order to use Zotero. In addition to being a citation and bibliography manager, I also use it to keep track of the many PDFs I collect while writing a paper. It's nice to have everything all in one spot, that is readily accessible. Zotero is useful to me when writing final reports and policy recommendations by helping me manage all my references and resources, inserting citations and creating bibliographies. This is a huge time saver when you are required to collect and manage multiple references. It is free open source software, so no extra cost involved. Easy to use, one click citation save options. Have an option to export references from many research databases - Orbis, Jstor etc.. Integrated with Word & Libreoffice, can even drag-and drop citation into MS Word. Sometimes citation format is off for some of the more specialized styles, e.g. Bluebook for legal docs, and needs to be corrected manually. It is a great open source citation management software that has many of the same capabilities as some of the pricier options - EndNote or Refworks. There is no support per se since it is open source but there is an active user community and developer provides tutorials. It is very easy to learn. I used Zotero among other citation managers - EndNote, Refworks, and Mendeley for several years during graduate school. It is a helpful tool that allows you to gather and transfer references from other databases and webpages to your personal research database, create bibliographies as well as easily search and sort references. It supports a variety of styles (MLA, APA etc). It is easy to incorporate new citations as you search google or other databases. Zotero easily uploads new citations. It is difficult to change the format of Zotero citations. This includes both for one user trying to change the citations for the appropriate publication format and for transitioning between users. I was working with a colleague and had to completely redo the whole Zotero library incorporation into the Microsoft word document because I was trying to include two new sources. Before use, see if it will support the final citation format the you require. In other words, if the bibliography needs to be in the PLoS Biology Journal format, can Zotero meet those requirements. Zotero is useful for incorporating citations into Microsoft word documents used for scientific publications and other literature. "Powerful but clunky at times"
Web browser-enabled functionality to add sources to my existing reference library. Also the ability to sync via cloud (when it works - see below). Relatively simple and easy to use interface. Inability to annotate saved PDFs (like you can in Mendeley) and very restrictive storage amount in the free version (upgraded for minimal cost but compared to Mendeley, the Zotero free version provides much less functionality). Also, the cloud sync function does not seem to work all the time, especially in my institution, which may be related to the security settings but it is still frustrating. Sometimes, the PDF does not save when i use the browser Zotero add-on but it is hard to predict. Easy cataloging of research reference materials that I could easily share to others, such as collaborators. I love that you can share folders with a group to make collaboration easy. I also enjoy how easy it is to use with Microsoft word, drag and drop citations are wonderful. I also enjoy that I can add and choose which citation style I use incredibly easily. The fact that all of that is free is even better! The only thing I dislike is that when I move a citation to a different folder it keeps it in the older folder as well. Besides that small detail there is very little wrong with the program as a whole. definitely try it out and you'll never switch to anything else! It makes organizing my thesis project and other projects so easy and better than folders in my laptop. "Organizes my citations, but I don't know how to use all of its functions"
It serves as a place where I can keep all of my citations and resources. I like that I can categorize them and search based on category. I like that it will retrieve metadata for me. I really feel like I don't know how to use very much of the features. Have had trouble before even exporting a bibliography. I have not been able to figure out how to utilize Zotero as a plug-in within my word documents. Writing academic and industrial research reports. "Used to be great, on the decline"
the software is no longer connected to firefox and now i must use the standalone version to monitor my articles, it is more difficult and more effort than before. all my negative comments are because of this issue. great and easy to use, once you take the time to learn the software easy to use! "Incredible Asset to studying and research"
Zotero has been easy to install, use, and integrate with my web browser to create editable citations in a multitude of formats. I don't understand much about how it uses proxies, but that hasn't been a hinderance to my use. This is a great, free tool that I wish I had known about years ago. This lets me organize scholarly citations for research papers. I like how chrome add-on app of Zotero which saves so much time in saving references. In addition, the information of the reference (authors, publishers, publishing time, etc.) can be retrieved right away in zotero once being saved. Other functions are pretty similar to Mandeley. The sync function is good but it is slow from one computer to the other. The graphic design of user window is boring and lack of innovation but works fun if one just care about saving references. Download the chrome add-on if you use Chrome. Use sync function if you want to work in different locations on different PC. Do not use the new version to add reference, window of old winder is more user-friendly. Organizing references is very convenient with Zotero. It has all the publishing styles that one need. "Zotero is the greatest piece of software for academic writers since the word processor. " Organization. Citations are perfect. What isn't to love. It's great. Nothing. It's an amazing piece of software. Fantastic. All of my citations, research articles all organized and indexed. This software is amazing. "Easy online portal for tracking and sharing references"
References can be easily organized into folders and shared. Also, you no longer have download anything; everything can be done from the website. If you have a lot of references, the view can be a little overwhelming and it can be hard to organize if you leave a project and then return to it later (i.e., if you don't organize your references as soon as you add them, it can be harder later). It allows collaborators to share sources they've found; this can be especially useful for papers. This software is free for use, so if you don't utilize citations often, it may be the way to go. It's hard to format citations for publication and it's hard to share content of the citation library with others. Before extended use, match sure that the final citation format is appropriate for your use. I had difficulty modifying it to make it compatible for the journal in which I wanted to publish. I have utilized Zotero to include citations within text for Scientific publications. It is compatible with Microsoft word, which is the main software that I use for writing manuscripts. "Best free research source management software"
"Awesome Stand-alone Pinterest for Academics!" Zotero's functionality, in terms of the ability to save "snapshots" of websites needed for academic research, combined with it's ease of use, make it the best website research assistant software I've used. It took me some time to figure out how to setup some of it's sharing features, in order to synchronize between devices when I initially discovered the application. Zotero is great for anyone performing research, for saving and coming back to research items, and for creating needed citations about items as well. Zotero is useful as a research assistant software application, allowing for easy website saving and retrieval. I like that I can save papers and looks at them after a while. And also I can organize all the papers in different folders so it make it easy to find them without downloading them. It works better with firefox than with chrome, and I usually use chrome more. There are other software that do the same that Zotero but this one really caught my eye. It helps when I'm doing research and need to cite information. I love that I can easily use Zotero to create citations straight through my browser, with the click of a button. I sometimes run into difficulties where the paper I am trying to cite from the browser doesn't connect with the Zotero app on my computer, in which case I have to restart the program. I use it for research and writing papers. "Can’t reference without it "
Ease of adding references, in text citations and references lists. Easiest platform that I’ve used. I wish there was a spacing function, so you could choose whether you want single or double spacing when creating a reference list. Using for research manuscripts. Very easy to use and organize references into folders. It keeps all your citations in one place for term papers, comps readings, and theses. It takes a bit of effort to get to verythingnorganized how you want, and sometimes things have to be entered manually. It’s the best thing to organize citations, whether you’re a student or a researcher. "Great tool to store literature for research"
It is user friendly and freely available. The collaboration and list features are very helpful. Collaboration on large research projects. * We monitor all Zotero reviews to prevent fraudulent reviews and keep review quality high. We do not post reviews by company employees or direct competitors. Validated reviews require the user to submit a screenshot of the product containing their user ID, in order to verify a user is an actual user of the product. Hi there! Are you looking to implement a solution like Zotero?